Last studio album with Johannes Schmoelling, "Le Parc" definitely marks a rupture with the other previous TANGERINE DREAM releases from this era. Completely different from "Hyperborea" and "Poland", this record is inspired by their recent movies soundtracks. No long epic here, just 9 short melodic pieces with heterogeneous ambiances, more or less inspired. The sound has turned much more 80's friendly and commercial, but also incorporates a little touch of "world music" synth sonorities. As in some of their previous albums, the tracks name are inspired by the places the band visited while travelling. From the first seconds of "Bois De Boulogne", you can hear the change: TANGERINE DREAM has embraced the eighties. In fact, this both melodic and ambient opening is quite nice. "Central Park" is dynamic and could have well suited a police action movie scene. On the contrary, "Gaudi Park" and "Tiergarten" are rather dull and flat. The peaceful atmospheric "Zen Garden" features japanese sonorities and is prettily relaxing. This makes an even more abrupt transition with the energic title track. This tune is in fact the opening soundtrack for the U.S. TV show Streethawk. Energic, catchy, but a bit out of place in this album, and... the relation between a park and a futuristic motorbike? Not much to say about the strange and average "Hyde Park" and "The Cliffs Of Sydney". The dreamy end track "Yellowstone Park" is more interesting. First, it features Clare Torry, the vocalist of PINK FLOYD's "The Great Gig in the Sky". Second, it contains "world music" sonorities. Third, it's an unexpected good surprise to conclude this record. 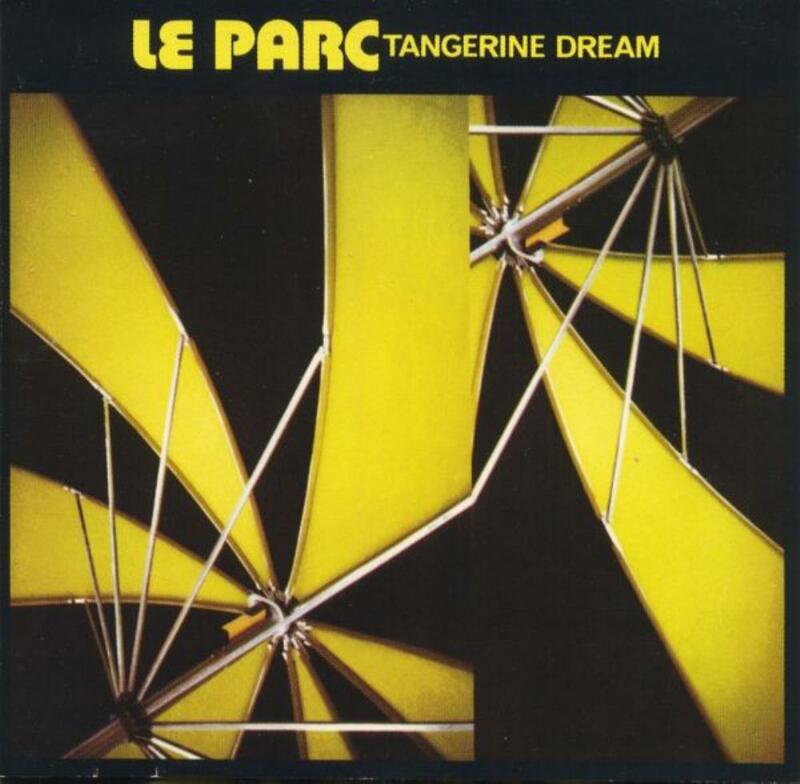 "Le Parc" is definitely an odd and unequal patchwork, the last and weakest TANGERINE DREAM album of the Schmoelling-era. However, if you're not too much allergic to the eighties, the music is overall nice and enjoyable.